Me I absolutely love tea and I drink many cups of tea every day! Before I used to drink flavored black teas but then I learned to know that green and white teas are so much more helthier so nowadays my tea colours are: green,white and red. 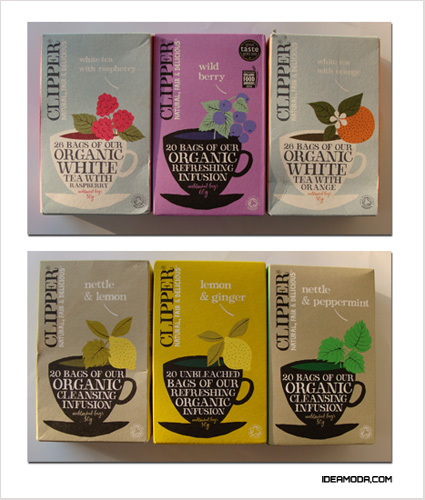 Everytime I travel I like to visit supermarkets and shops to see what kind of teas they sell.Last autumn while I was in Finland I discovered Clipper tea.First of all my attention got the beautiful tea package;light blue with the the strong pink and white…very fresh!You can see the package on the left (white tea with raspberry). But then back home I discovered that it wasn’t only the beauty outside but also inside:this tea is absolutely good!The taste is just great! Anyways Clipper is not a Finnish tea but it comes from the UK.Clipper is famous for ‘Natural, Fair and Delicious’ using the purest ingredients of the highest quality in their tea, coffee and drinking chocolate. 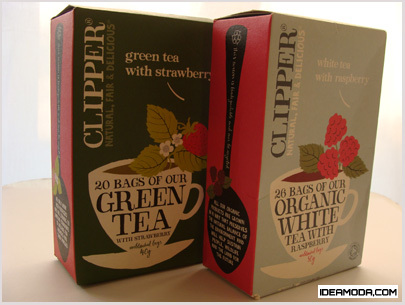 Clipper’s Pure Green Tea was the first green tea on supermarket shelves in the UK. Their range includes Organic and Decaffeinated, as well as a number of teas subtly enhanced with natural fruit and herb flavours;white teas and also infusions, or fruit and herb teas. 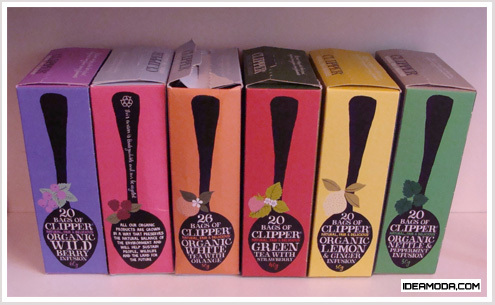 I guess you’ll find Clipper teas easily in the Uk and in Finland some K-market sell them.Otherwise you can order them from Clipper tea shop. Also Amazon sells Clipper teas.